Our ESP printed cellulose tape is a general purpose high tack tape with excellent holding power. It is ideal for general packaging in environments where static is an issue. Use to seal packages, containers, or supplies in manufacturing. 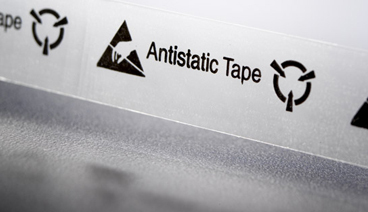 The tape is printed with “the hand in triangle” and “three arrow markings” in accordance with the ESD association.